Earth Day is coming up this month! 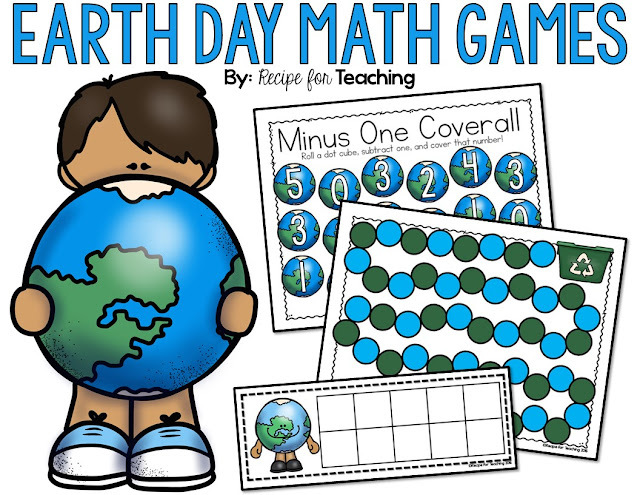 I decided to make some Earth Day themed math games that also had a subtraction focus. 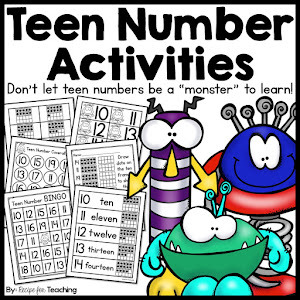 We are getting ready to start subtraction and math games are a great way to help your students with their subtraction skills. 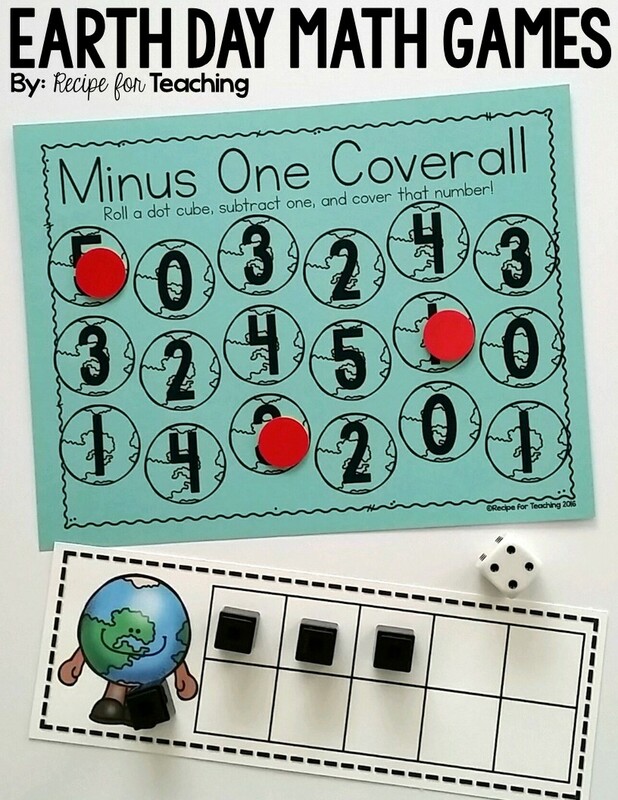 One game is "Minus One Coverall." 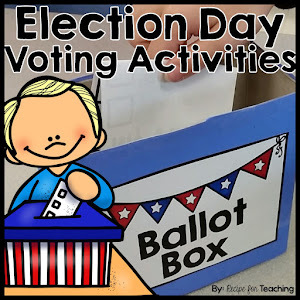 My students love coverall games. 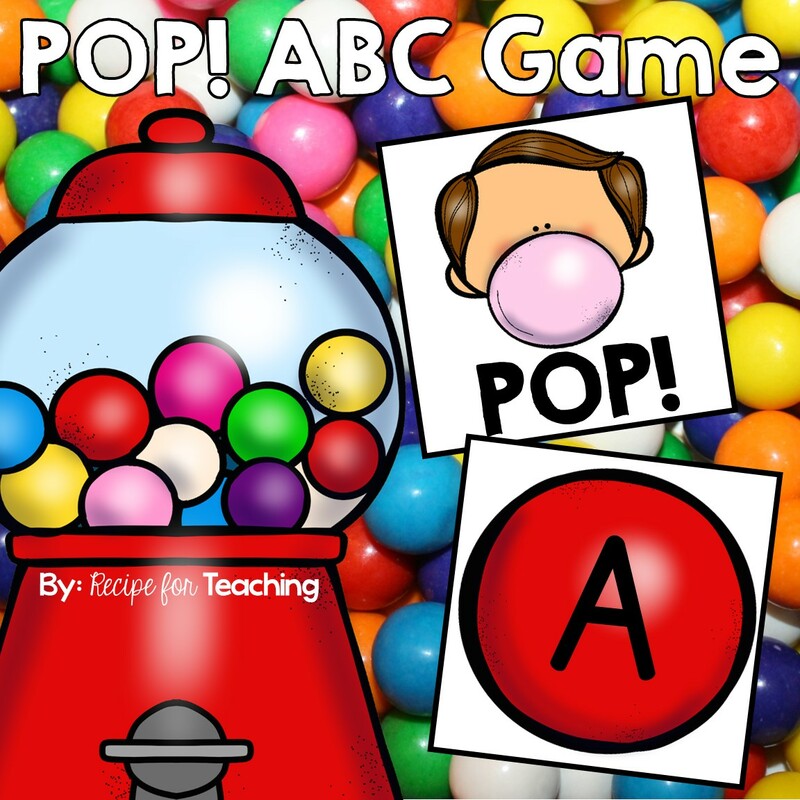 They are great for students to play with a partner and they make fun math station games. 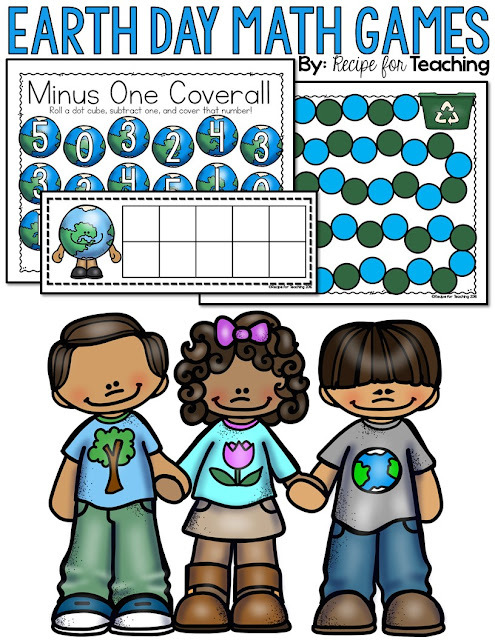 For this game students would need the "Minus One Coverall" game board, a dot cube, counters to cover the number, and the Earth Day ten frame (optional). Students take turns rolling the dot cube, subtracting one, and covering that number until all numbers on the board are covered. 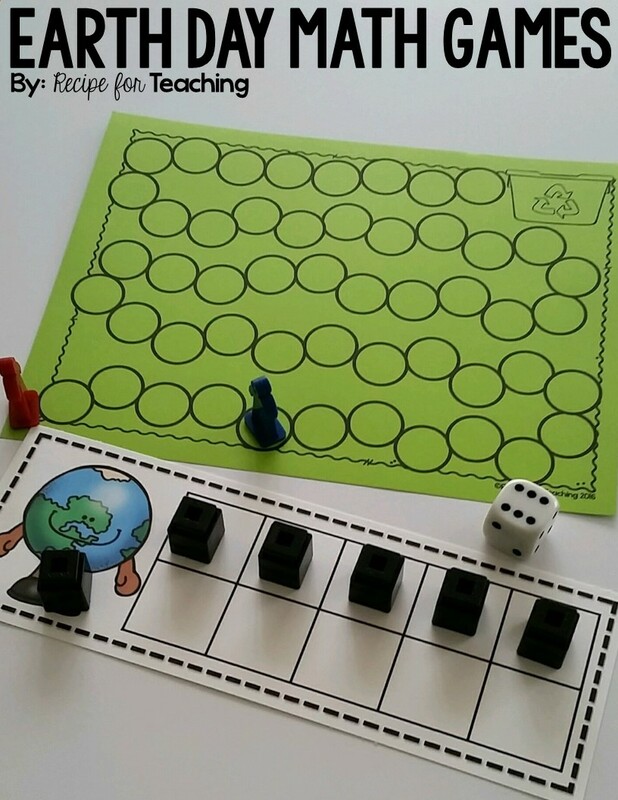 *Differentiation option: Students can use the ten frame to lay out the number of cubes (or other manipulative) for the number they roll and then take away one OR students who are more fluent with subtract could subtract one without the use of a ten frame. I always like to hold my students accountable for their math work by saying the "Math Talk." For this game they could say, "I rolled a 4 and took away 1. Now I have 3." They could also say, "4 minus 1 is 3." The other game is a "Race to the Recycling Bin" game. This game can be played a few different ways, but I am going to use it for subtracting one like the "Minus One Coverall" game. 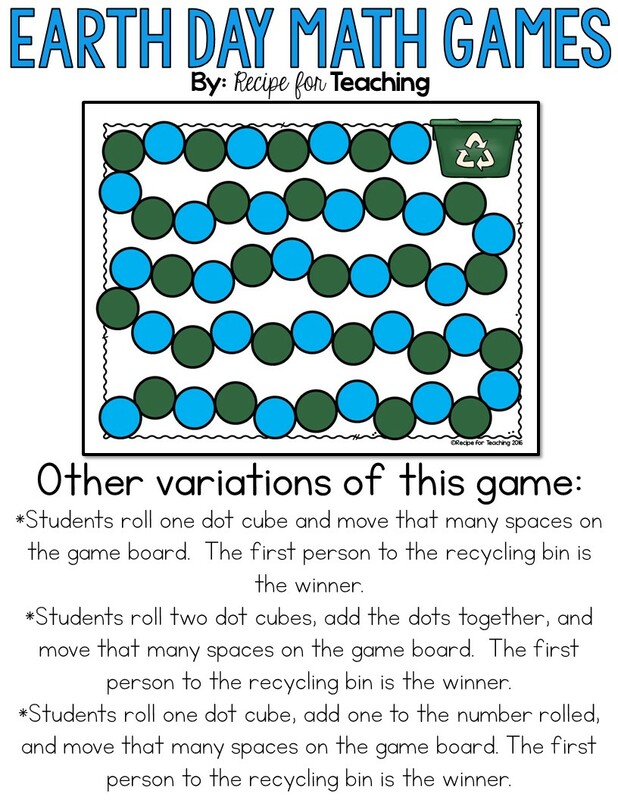 For this game students would need the "Race to the Recycling" game board, a dot cube, playing pieces for the game board, and the Earth Day ten frame (optional). Students take turns rolling the dot cube, subtracting one, and moving that many spaces on the game board. The first one to the recycling bin is the winner. *Differentiation option: Students can use the ten frame to lay out the number of cubes (or other manipulative) for the number they roll and then take away one OR students who are more fluent with subtract could subtract one without the use of a ten frame. Again, I would hold my students accountable for their math work by saying the "Math Talk." For this game they could say, "I rolled a 6 and took away 1. Now I have 5." They could also say, "6 minus 1 is 5." See the image below for other ways to play, "Race to the Recycling Bin." If you want to try these Earth Day themed math games with your students, just click the image below to grab your free download!